I cannot put my finger on the exact moment in time, but at some point church “culture” changed from being more direct and confrontational when dealing with sin and error to growing more silent, complacent and accepting of doctrines and practices that formerly (in my fairly short life time) would had gotten one publically rebuked or possibly excommunicated. One of the reason’s the Church is in the pretty sad and confused condition it is today is because a generation of leaders have fostered a non-Christian practice of “see-no-evil, hear-no-evil, and speak no-evil.” this is great advice if you are a monkey, but it is hardly biblical or practical counsel for Christians. We’ve been wrongly counseled to “not judge” others, when the Bible plainly tells us to do exactly this. Most certainly, you and I do not know the spiritual state of those professing belief around us; however we are called to examine their fruit. We can surely see their lifestyles and we can easily determine whether or not some one is living a godly life according to the scriptures. Obviously the doctrine they proclaim is open to scrutiny, after all were not the Bereans declared nobler by Paul than the Thessalonians in Acts 17:11 for scoping out what Paul was declaring as truth? Let me ask you a question —- who is it that causes divisions in the Church? Is it the one who spreads false doctrines and spurious practices within the Church or is it the ones who contend for the faith once delivered unto the saints (Jude 3)? I can assure you it is the former and not the latter. How important is this as an issue in our lives as believers? The Holy Spirit through Paul seems to think it necessary enough to be placed in God’s written Word. Here is Paul, having not even visited Rome, yet he begs these young Christians to notice carefully and to keep thinking about with a fixed attention on those who cause divisions and offences of a specific type. What type? We are told to carefully watch out for and take note of (what discovered) anyone who causes divisions and offenses regarding the true apostolic doctrine which has been learned. Paul knew well the reality of the danger of false doctrines spread via false apostles, prophets and teachers and he unfailingly fought them by exposing them and their errors as well as proclaiming God’s truth. In this case Paul tells the Philippians to “mark” them that walk properly following the apostolic example set before them by Paul and the genuine leaders. “Many” in the Greek is denoting a large amount of people are in fact enemies of the cross whose end is nothing less than eternal destruction. Paul did not rejoice over their impending judgment, he wept for them, which must be our attitude as well in this field of Christian servant hood. Note that Paul says that he has told them OFTEN about these people, he did not keep silent regarding them and the eternal danger they pose. WOW! Not only did Paul name Alexander, he cited him twice in his letters to Timothy. Paul saw their error so damaging that he turned them over to Satan, i.e. excommunicated them from the church and handed them over to be tormented by demons for the purpose of instruction and possible reconciliation. This is the same Paul who rebuked Peter openly in front of everyone (not quietly in a corner with a quick hug and back slap). What is more he even told those who were not in attendance, the Galatians, what he did and to whom he did it! Paul did this because Peter was wrong and his actions caused others (other Jews, Barnabas) to enter into his hypocrisy and sin. Rebuking Peter openly was not only the right thing to do but it was the loving thing for Paul to do. Paul loved his Lord and this love demanded he take a stand for God’s truth regardless of the personal consequences. What is more, Paul loved Peter and this agape, this divine love shed abroad in his heart by the Holy Spirit (Romans 5:5) compelled Paul to rebuke Peter first for Peter’s own sake and then for the sake of those following Peter’s errant behavior. One of D.M.I.’s goals is to see these people come to repentance, recant their errors and teach the truth —if I can do it, and by God’s grace I did, so can anyone. Can you hear these words coming out of the mouth of Joel Osteen or Robert Schuller? Jesus did not pull any punches, yet who among us would dare call Him “unloving” or being an accuser of the brethren? Speaking “truth to power” is not without its risks. Jesus was crucified at the hands of wicked men (Acts 3:15). Historically we believe that all the Apostles but John the Beloved died martyrs deaths, Stephen was stoned to death (Acts 7:59) and Hebrews chapter eleven speaks at length about those of whom the world was not worthy (Hebrews 11:38). The world loves its own (John 15:19) and anyone who dares to stand up and denounce it and expose it for what it is makes them an enemy of all that the lost and deceived count as of great worth. Paul no doubt felt the sting of being misunderstood when he rhetorically asked “have I become your enemy by telling you the truth” (Gal.4:15)? Not only are we to mark and rebuke openly those in doctrinal error (1 Timothy 5:20), we are ALSO to mark and avoid those who walk (live) contrary to the apostolic traditions given to the Church. Paul as an apostle, was responsible for helping establish religious traditions in the young Church. Some people within the young Church were already casting aside the genuine apostolic traditions for their own novel ideas while the Apostles themselves were still alive! “Tradition” is a dirty word to most American evangelical Protestants, (6) after all we are a people who loudly confess “I’ll do it my way” throughout our days. Anything old is quaint at best and outdated at worst. It is the “new” we adore; new is fresh; new bespeaks innovation; new is good and old is bad. Sadly, this culturally driven point of view has been carried into the Church. The New Apostolic Reformation SINisters not only are guilty of propagating a wide variety of doctrinal error they are also guilty of subverting the genuine apostolic traditions handed down through the ages with their own non-biblical traditions. Here is a short list of practices now accepted and traditional in and among these brethren (let them be ashamed) which include: (1) altar calls to receive salvation & impartation of spiritual gifts, (2) being slain in the spirit, (3) all Christians can/should speak in tongues, (4) demonic deliverance of believers, (5) 24/7 praise/prayer/fasting centers as the means God is using to glorify the Church. These novel-praxi have replaced the orthodox practice of baptism, the Lord’s Supper, supremacy of the Word in preaching, etc. Over the last several months DMI has been exposing specific individuals such as C. Peter Wagner, Mike Bickle, Francis Frangipagne, Paul Cain, Joyce Meyer, Kenneth Copeland and others as false ministers. Some of them may be genuine Christians, but they and all that follow their doctrines & practices are to be avoided by the Church so that they may be restored to genuine Christian fellowship. Do not allow any misled devotee of whoever browbeats you into being silent about the danger these people pose to the spiritual welfare of those who listen to them. There is no deeper nor more painful wound than that caused by spiritual abuse. Truth Matters, it really does. We are commanded to speak the truth in love (Eph. 4:15) and by doing so we grow in Christ. My love for God and the integrity of His Word impel me to action, even so my love for all the Church. If I love someone and I know of something that will seriously harm them I will tell them. Obviously, if I know someone is peddling poison then I will warn them and then others (Matthew 18). Why should I care, if I am not drinking their poison? Love can do no less than all it can for the sake of others, and it is that love motivates what we do and those who support us. 1. The Holy Bible King James Version Electronic Edition of the 1900 Authorized Version (Bellingham, WA: Logos Research Systems, Inc. 2009). Bold type, italics and underlining added for emphasis. 2. James Swanson, Dictionary of Biblical Languages With Semantic Domains: Greek (New Testament), electronic ed. (Oak Harbor: Logos Research Systems, Inc, 1997). Bold type added for emphasis. 3. Obtained from http://www.goodreads.com/author/quotes/1579882.Irenaeus_of_Lyons on 10/20/2011 , taken from Against Heries. Underlining added for emphasis. 4. 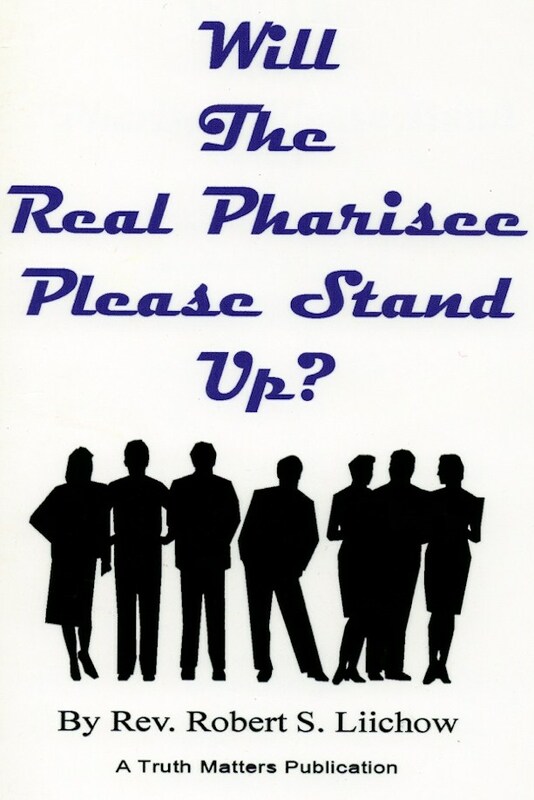 For example if someone said to me, “Bob, your Pastor Braden is teaching heresy regarding….” At first I would probably be angry at the messenger in that I respect and love my pastor, however, as a thinking person, I would also examine the changes being brought against my pastor and determine whether they are in fact true—-then I will respond appropriately. 5. The problem was coming from/through Alexander. The originator of the error is Satan and his hosts, with whom we do wrestle with, but not flesh and blood per se. Satan uses people and our battles are ultimately spiritual, but that does not give a “mulligan” to those used by Satan, Alexander is still culpable before God as is Hinn, Copeland, etc. . . . .
6. I am an American, but not a “protestant” per se. I am a true “evangelical” a term coined by Dr. Martin Luther to describe what was taking place in what became known as the Reformation. I am an “Evangelical Catholic” I guess if one must call names and label. Comments : Comments Off on “Scope” Them Out!